The archives of the Anglican Diocese of Newcastle, including parish registers, records of the Bishops of Newcastle and the records of St John's Theological College at Morpeth held by Cultural Collections. 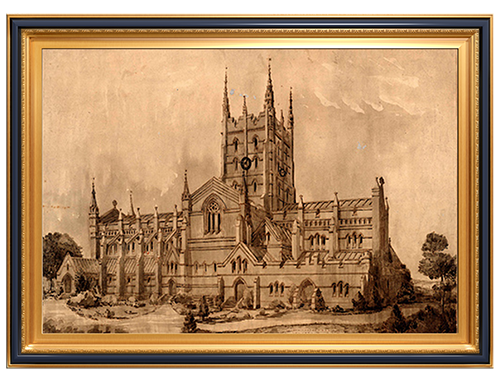 The vast Archive of the Anglican Diocese of Newcastle and Christ Church Cathedral includes the records of St. John's College, Morpeth, runs to 120 shelf metres and dates from the year 1826. Before 1860 the Anglican Diocese of Newcastle covered a territory encompassing the whole of northern New South Wales and Queensland. The Collection is of such national significance that the National Preservation Office at the National Library of Australia has made a generous grant for conservation treatment. Records restored under this program are the diary of pioneer Bishop William Tyrrell and an early watercolour of his church at Morpeth, Morpeth at the time being the seat of Tyrrell's Diocese, and the jumping off point for settlers going into the interior. Please note: In conformity with principles of privacy and confidentiality, access to Diocesan records is restricted for the following periods, from the date of their creation. Bishop's files, Registrar's and St John's College files containing personal and confidential information: 100 years. Baptism registers: 90 years - except for the individual concerned. Marriage registers: 50 years - except for the individual concerned. Other (non-confidential) records: 30 years. Synod papers, public documents, and Diocesan publications: nil.